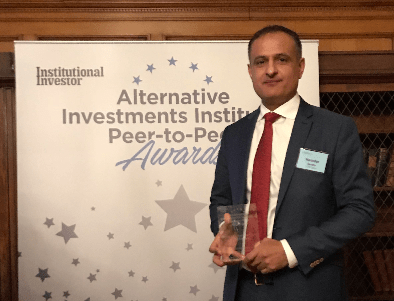 Our commitment to responsible investment has been recognised by our peers at the Alternative Investments Institute’s Peer-to-Peer Awards. We walked away with the Impact Investment award at the ceremony – organised in association with Institutional Investor – in Surrey on Wednesday, 30 January. Michael Marshall, Director of Responsible Investment & Engagement, said: “I’m proud we’ve been recognised by our peers for our work to ensure LGPS Central Limited is a responsible investor. Senior Portfolio Manager Harinder Sandhu collected the award on our behalf.